Our experienced clinicians specialise in particular areas of Speech Pathology and all work under the Centre's core commitment of genuine individual care. We undertake regular external professional development as well as onsite training. Many of our clinicians specialise in the assessment and management of children disagnosed with an Autism Spectrum Disorder. 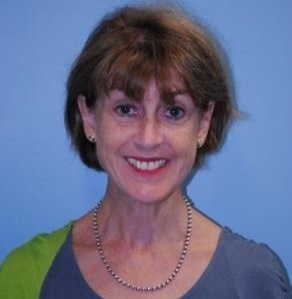 Devon Barnes established Lindfield Speech Pathology in 1990. She has over 40 years experience working with children and adults with speech, language, literacy and learning problems. Devon ensures that the Centre stays up to date with the latest treatment advances. Galia Aron specialises in assessing and treating pre-school and school aged children with speech, language, literacy and fluency difficulties. Galia has a special interest in working with children with literacy difficulties as well as children with language delays and social skills difficulties. She has additional training in Hanen: It Takes Two To Talk®, MultiLit, The Spalding Method, PECS, The Lidcombe Program, SAS (Secret Agent Society). Jillian Cranney specialises in assessing and treating children with Autism Spectrum Disorders, developmental and language delays, social skills difficulties and articulation disorders. Jillian has completed training in Hanen:It takes Two to Talk; Picture Exchange Communication System (PECS); Applied Behavioural Analysis Therapy (ABA); Autism and the SCERTS Model; Relationship Development Intervention (RDI); and the Introduction to PROMPT training course. Edwina Foo specialises in assessing and treating children with a disability, developmental and language delays, articulation disorders and preschool stuttering. Edwina is passionate about working along side families to improve the ability of children to communicate and be part of their community. Edwina is trained in HANEN It Takes Two To Talk and PECS. Edwina has also completed PROMPT (c) Introduction to Technique training and The Lidcombe Program course. Anne Khlentzos specialises in assessing and treating school-aged children with speech, language and literacy difficulties. She has undertaken additional training in The Spalding Method and Lindamood-Bell’s Seeing Stars and LiPS Programs. Anne has a particular interest in helping children with literacy difficulties, tongue thrust swallows and lisps. Ali McLean specialises in assessing and treating pre-school and school aged children with speech, language, literacy, voice and fluency difficulties. She has a special interest in helping children with speech and voice impairments as well as children who stutter, and she is trained in The Lidcombe Program. Ali has attended additional training in assessing and treating voice disorders as well as associated problems with Cleft and Velopharangeal Dysfunction. She is also trained in Visualizing and Verbalizing® Program for Comprehension & Thinking, The Spalding Method and Key Word Sign. Aska Percy specialises in assessing and treating pre-school and school-aged children with speech, language, literacy, and fluency difficulties. She has a special interest in literacy and working with children with additional needs including Hearing Impairments, Auditory Processing Disorder, and Autism Spectrum Disorders. Aska is trained in PROMPT, the Lidcombe Program, Lindamood-Bell Visualizing and Verbalizing® Program for Comprehension & Thinking, the Spalding Method, MultiLit, and Key Word Sign (KWS). Candice Silver specialises in assessing and treating pre-school and school aged children with speech, language, literacy, fluency and social skill difficulties. Candice has a special interest in helping toddlers and pre-school children with language delays, children with speech impairments, as well as children who stutter. Candice is trained in the Spalding Method and Hanen: It Takes Two To Talk®. 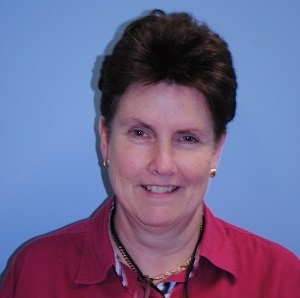 Allison Stevens (BAppSc, MSPA, CPSP) specialises in the treatment of school-aged children with literacy and learning difficulties, with an emphasis on upper high school students. Kathleen (Kate) Seah specialises in assessing and treating pre-school and school-aged children with speech, literacy, language, social skills and fluency difficulties. She has a special interest in working with multicultural families, and children who have language delays and literacy difficulties. She has additional training in Hanen: It Takes Two To Talk®, Hanen: More Than Words®, PROMPT, PECS, Introduction to DIR-Floortime, Applied Behaviour Analysis (ABA) and Key Word Sign.